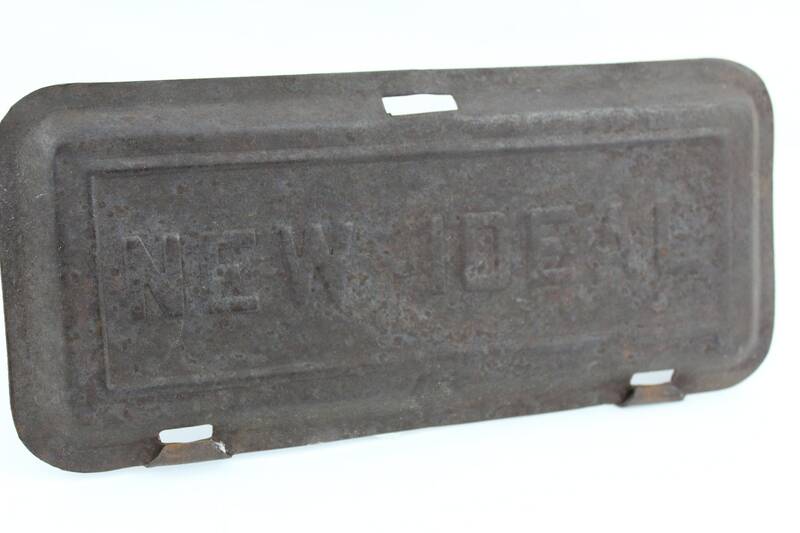 We have for sale an Antique 1918 McCormick-Deering Tractor NEW IDEAL Toolbox Lid. 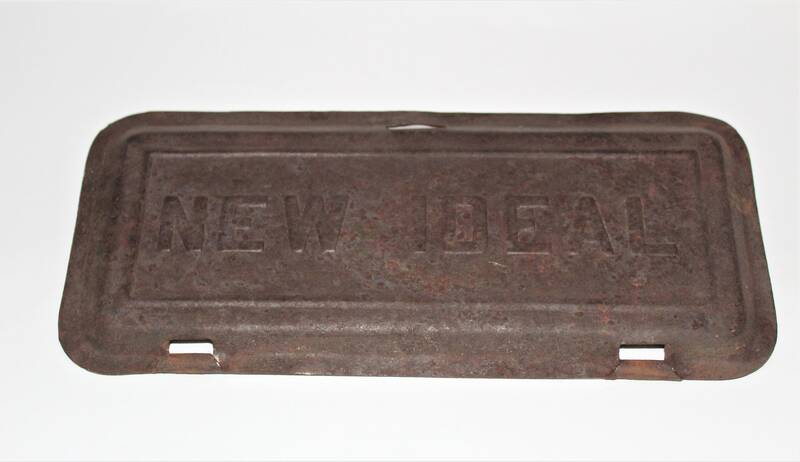 This is an antique toolbox lid from an McCormick Deering Tractor NEW IDEAL Plain Lift Mower or Giant Mower, Sickle Mower. Measures; 11.375” wide, 5.125” tall, hinge holes are 7” center to center. 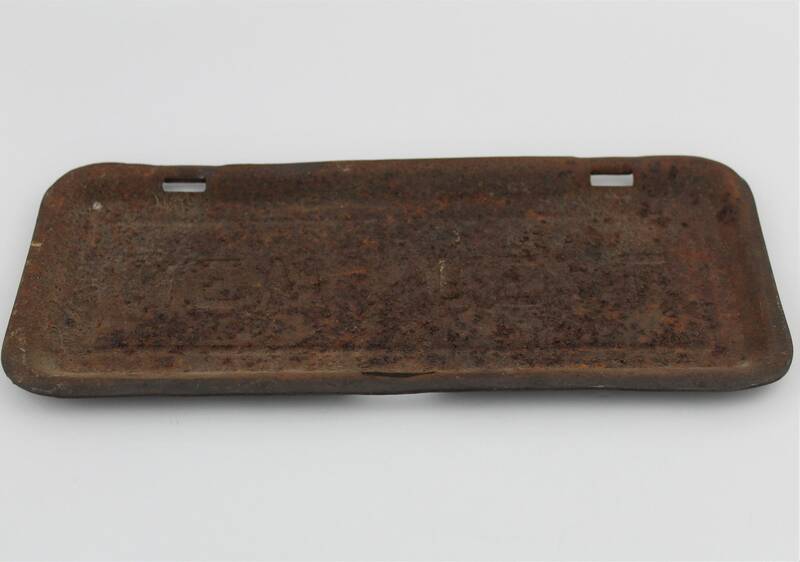 Condition; surface rust but very solid, no holes.